In 2009 ITEMdesignworks started with the first challenge of designing a “futuristic” electric bicycle for BH BIKES. The existing models in the market were very basic, almost experimental, and showed a very engineering bias for the “concept vision that a product designer could provide. For this very first project we put ourselves in the shoes of the end user, not in the ones of the manufacturer, and we clearly saw what we should propose to make a qualitative leap with regard to what the market was offering at that time. The frame geometry cannot be changed for use or ergonomics reasons. The e-bike architecture should be a solid concept that “integrates” all its elements in a well-resolved and harmonious way. This is how we created the NEO (World Patent) concept, which was launched in 2011 thanks to the big effort of BH BIKES. This NEO concept was awarded at EUROBIKE 2011 for its innovation and design. We pioneered the creation of a concept that has become a trend nowadays and has been adopted by all manufacturers of e-bikes: “the integration” of all elements into the frame. In 2012, the Deutsches Museum in Munich acquired a NEO unit for its permanent collection. 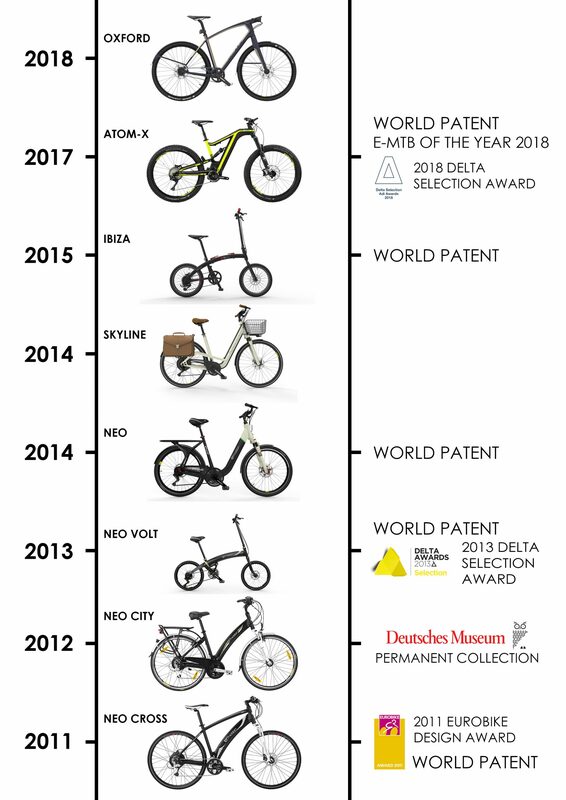 In 2013 we created NEO VOLT (World Patent), a portable e-bike for urban use with a very original system that allows its transportation once folded. The Canadian Discovery Channel published our creation in more than 70 countries. In addition, it obtained a Selection in the international Delta Awards in 2013. In 2014 we designed two urban e-bikes for a Taiwanese company: Skyline and Manhattan, with the aim of developing the European urban market. This concept provided another vision and crucial aspect of the integration. Also in 2014, the EVO concept for BH BIKES (patented) was launched. It meant a great improvement of the previous concept thanks to a very optimized battery in volume, being the most compact battery of the moment. In 2015 we designed the IBIZA model for BH BIKES. A portable urban bike with a double folding system (Patented). The BMW automotive company sells a version of this model with its brand. In 2016 we created the ATOM-X concept for BH BIKES (World Patent), which was released in the second half of 2017 and made a turning point in e-bikes’ history, due to the full ingenious integration of the battery inside the frame. ATOM-X is the most innovative product we have designed so far, being nominated for the international awards Delta 2018. 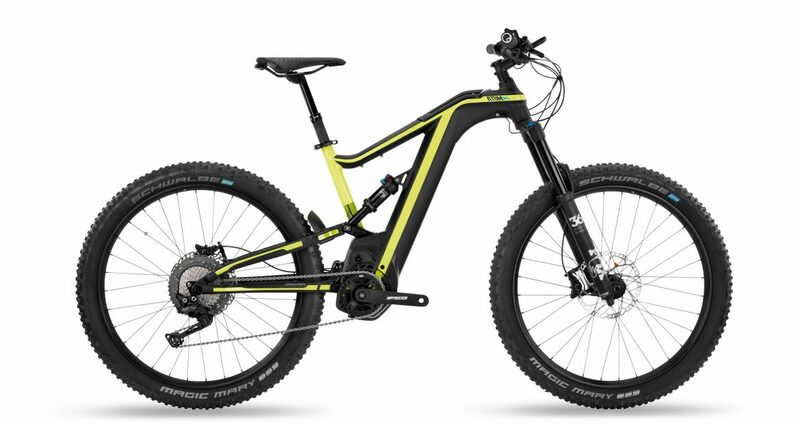 It has also been nominated e-bike of the year 2018 in the magazine E-BIKE. ATOM-X is equipped with a state-of-the-art intelligent interface with more than 40 customizable parameters that, together with a battery of 720wh, give us an assistance of up to 150km. It is probably one of the most advanced e-bikes of our time. In 2017 we designed the OXFORD concept for BH BIKES: whimsical and elegant urban bicycles with several design details that make them unmistakable. It is fair to acknowledge that we had not gone so far … without the “complicity” of BH BIKES, who took on the challenges proposed by ITEMdesignworks from the beginning of the concepts, collaborating in the development and assuming an impeccable final industrialization that respected the original design scrupulously.